Skin To Die For Mineral Matte CC Cream SPF 30 - Light is rated 2.3 out of 5 by 24. Rated 3 out of 5 by kriss from Light is not light - it is way too dark! I love this CC cream. I've never tried PTR previous version, but this works for me in hot and humid Houston. It doesn't run off when you sweat too much, and has almost full coverage plus provides sun protection. I like the thick and heavy formula, I feel I am hiding my skin from the sun. I have some dark spots, therefore I hope all the ingredients will help to lighten & prevent them. My only complain is the light shade is too dark. Why only have 3?? I am not tan anymore and my skin is very pale, I had to stop using it because this "light" looks 3times darker on my face. So sad there aren't more color options. Rated 1 out of 5 by sheru from Disappointed I waited for this product to come out to replace your old CC cream that you discontinued, so I was very excited to received your new and improved CC cream. First of all, the new fair color is not a replacement for your old fair ... it is darker and the disappointment continues ... the application is dry and chalky. I will not be using this product and I cannot recommend it to others. Your old CC was excellent and I urge you to reexamine your formula. Rated 1 out of 5 by LB from LA from What a disappointment! When I found the predecessor to the new CC cream, I was elated! The light color matched my skin exactly, and its creamy texture was the perfect consistency. When I tried the replacement To Die For formula, it was significantly darker. It is thicker and drier, harder to apply, and exaggerates every line and wrinkle in my middle-age skin. PTR, if you have any of the previous version in light, I’ll buy them! 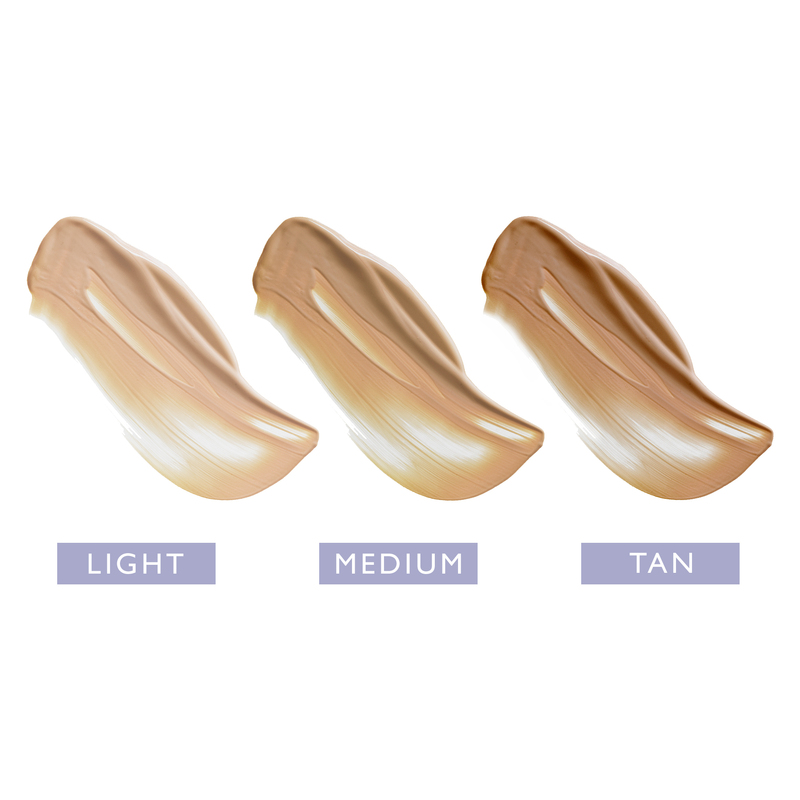 Otherwise, the search for the perfect foundation continues. If I could have given no stars, I would have! Rated 1 out of 5 by SarahJG from Horrible. Dont buy!! Um... what happened? This new formula is awful. It clings to dry skin, doesn’t brighten or awaken your complexion, enhances the look of wrinkles and fine lines and doesn’t color correct at all. 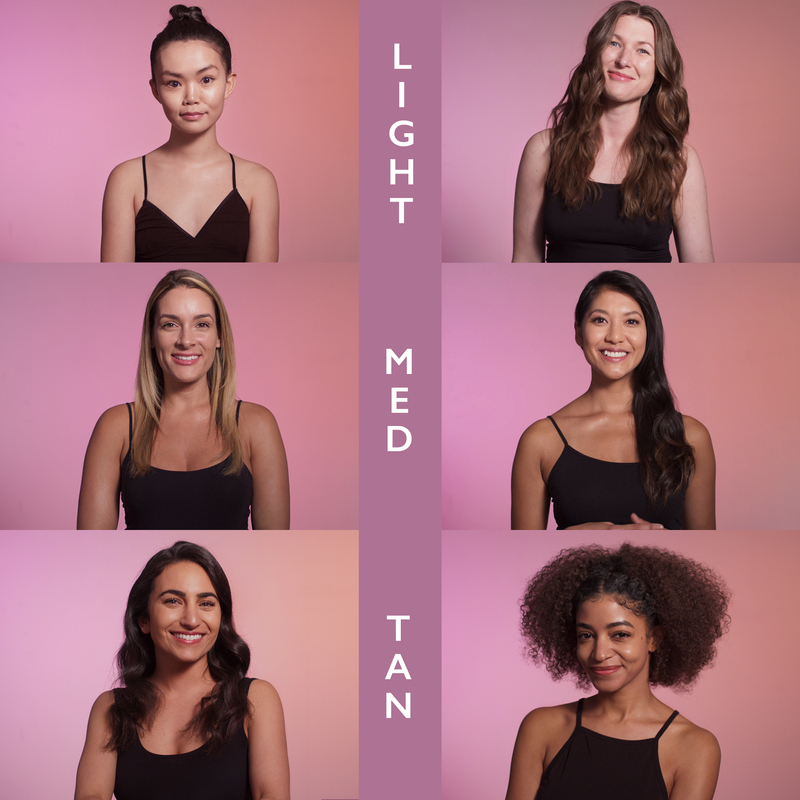 Also, the light color starts out MUCH darker than your original CC cream AND oxidizes big time. I come out looking like I had a fight with fake tanner.. and I lost. It’s muliple shades darker than your original CC cream which was AMAZING. It also had a lot more product. This “new formula” is horrible. Whoever thought this was a good idea was wrong. I have waited over a year for this new formula to be released. To say I’m disappointed is an understatement. I’d rather you would have just not bring back any formula. Because then I would have just moved on instead of waiting for this new formula to be released. I have rosacea and dehydrated skin. Foundation had always been a major struggle for me. Your original CC cream was a godsend. For the first time in my life I was able to quickly cover my redness and not have to deal with drying foundations that cling to my dry patches. It was amazing. My skin was bright and refreshed with major color correcting. This new formula is an absolute joke. I’m so angry and frustrated. Until you bring back the original formula you’ve lost a customer. Rated 1 out of 5 by DrWhy from Why!?! What happened PTR? I loooooved your old formula. 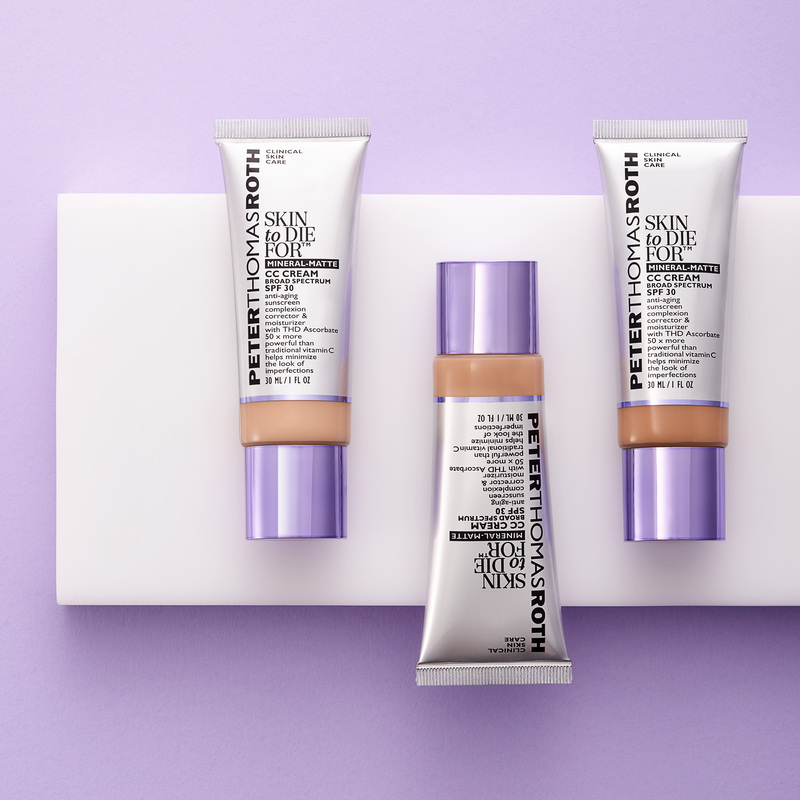 For those of us who dont like to wear makeup..your old formula was the only cc cream on the market that didn't wear like make up but provided color correction. I wont wear this, so it looks like I'm looking for a new brand. Please reconsider! Rated 1 out of 5 by Aita from Not a fan I like the original Skin to Die For much better. Will the original still be in your line? Rated 1 out of 5 by Melonie from This is not a replacement for the old CC Cream! I found this very thick and chalky, not blendable. The original PTR CC cream melted into the skin like butter yet was very breathable. This not only doesn't blend well, it feels heavy on your face like spackle. I will not purchase this again, I'm still looking for a replacement for the original CC cream but find myself trolling the after-market for the original CC cream. PLEASE BRING BACK THE REAL CC CREAM PTR I'm a very loyal PTR consumer for about a decade and this product does not speak to the PTR brand. Rated 1 out of 5 by MichelleJ from Bring back your old formula Huge fan of this stuff. I went to purchase more only to realize the product changed. 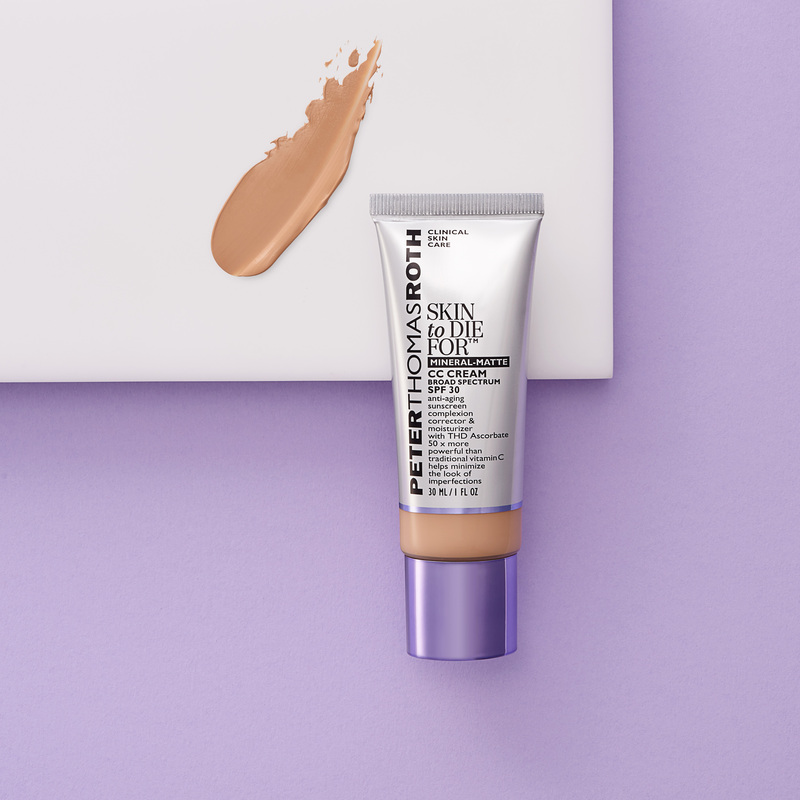 Where I loved the old formula due to its light texture yet beautiful coverage, this new formula is thick, chalky and more like a foundation. So incredibly disappointed you changed a good thing. I urge you to bring it back. Dear Amanda Etheridge, Thank you for contacting us! 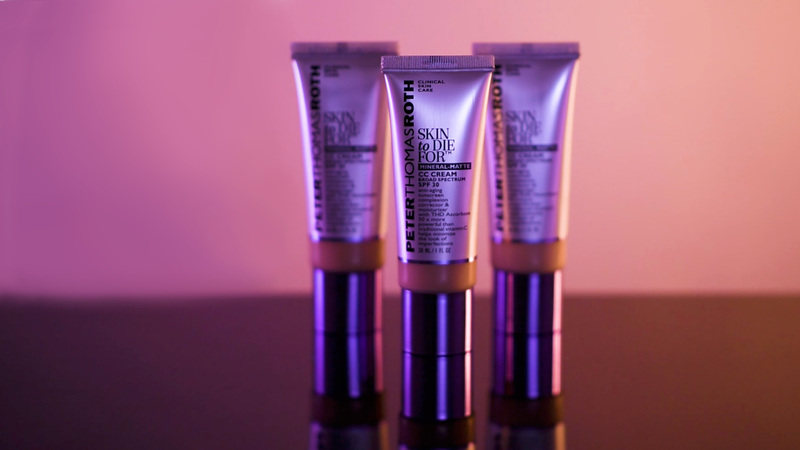 At this time, randomized samples are only available with purchase through PeterThomasRoth.com. You can always request samples in-person if you are located near a Sephora. We recommend calling first to verify the stores policy and product availability. I see from previous questions and answers that the product is not oil free. Is the product considered noncomedogenic? Dear Desi, Thank you for contacting us! While our products are not tested to be non-comedogenic, none are &quot;comedogenic&quot;. Our company aims to not use ingredients that, to our knowledge, cause acne breakouts or clogged pores. What happened to your old cc cream, which is absolutely wonderful? Please bring it back. Dear dreameroscar, Thank you for contacting us. CC Cream was discontinued and replaced with Skin to Die for CC Cream SPF 30. We apologize for the inconvenience. IIs it really truly light, like IVORY (or lighter) -- or is it actually the next category. I have been disappointed so many times on such things that claim to be &quot;light&quot; -- but are much too peachy or orange. Dear hitoshi1, Thank you for contacting us! You can always request samples in-person if you are located near a Sephora. We recommend calling first to verify the stores policy and product availability. Hi, is this an update of the&nbsp;CC Cream Complexion Corrector? Dear Erna, Thank you for contacting us. Skin to Die for C Cream SPF 30 replaced CC Cream Broad Spectrum SPF 30 Complexion Corrector. Dear Gierbo, This product is not oil free. Do I use moisturizer with this product? Dear Beth 2, Thank you for contacting us.Yes, you can apply moisturizer before Skin to Die for CC Cream. Dear SarahJG, Thank you for contacting us .We regret to inform you that Camu Camu CC Cream is discontinued and no longer available for purchase. We apologize for the inconvenience.